Detailed information and reviews of Missouri firms offering legal and financial services, accountants, insurance companies, mortgage companies and law firms. Post your requirements and receive no obligation price estimates and quotes. Missouri › Saint Louis City County › Saint Louis › 63130 8147 Delmar Blvd. Collateral Loan Needed ASAP! 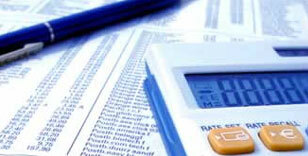 - I would like to find a lender for either an unsecured or secured personal loan. I have a vehicle for collateral to use. Thank you. Best rate on 5 autos and 1 house, 5 drivers, no claims, no tickets - 08 Chevy Equinox, 05 Hyundai Elantra, 03 Hyundai Elantra, 02 Hyundai Accent, 96 Chevy Suburban, 1 House Built In 1965. Need mortage options for rental properties - 2 residential rental properties owned by Owen Property Management LLC - need mortgage options for both. Personal loan - Would like to borrow $7000.00 to pay off my husbands funeral cost, and catch up on a few bills with low monthly payments, no pay day loans. Insurance - I have a 1984 international mobile home toter and i was wanting to know how much insurance would be for it. Just whatever the state requires. Thank you. Master condo insurance for a 2 unit condo association - A 2 unit condo association building in saint louis, missouri. I'm looking for insurance for a master condo policy for the building.